AA924, British North Borneo, Cent 1886-H, Heaton, NGC MS63BN ..
AA925, British North Borneo, Cent 1887-H, Heaton, NGC MS64BN ..
AA926, British North Borneo, Cent 1890-H, Heaton, NGC MS63BN ..
AB013, British North Borneo, 1/2 Cent 1907-H, Heaton, NGC MS62RB ..
AB237, British North Borneo, 1/2 Cent 1891-H, Heaton, NGC MS65BN ..
AB238, British North Borneo, 1 Cent 1887-H, Heaton, NGC MS64BN ..
AB239, British North Borneo, 1 Cent 1888-H, Heaton, NGC MS64BN (Marks on slab) ..
AB240, British North Borneo, 1 Cent 1891-H, Heaton, NGC MS64RB ..
AB344, British North Borneo, 1 Cent 1884-H, Heaton, Brown AU ..
AB345, British North Borneo, 1 Cent 1887-H, Heaton, Brown Cleaned AU ..
AB346, British North Borneo, 1 Cent 1888-H, Heaton, Brown UNC (Graffiti on Obv) ..
AB655, British North Borneo, 1 Cent 1889-H, Heaton, NGC AU55BN ..
AB656, British North Borneo, 1 Cent 1890-H, Heaton, NGC MS64BN ..
AB657, British North Borneo, 1 Cent 1935-H, Heaton, NGC MS64+ ..
AB658, British North Borneo, 1 Cent 1935-H, Heaton, NGC MS62 ..
AB659, British North Borneo, 5 Cents 1903-H, Heaton, NGC MS64 ..
AB660, British North Borneo, 5 Cents 1941-H, Heaton, NGC MS64 ..
AC033, British North Borneo, 1/2 Cent 1886-H, Heaton, NGC MS65RB (looks SP) ..
AC034, British North Borneo, 1 Cent 1888-H, Heaton, NGC MS63BN ..
AC035, British North Borneo, 1 Cent 1891-H, Heaton, NGC MS65BN ..
AC794, British North Borneo, 1 Cent 1891-H, Heaton, NGC MS65BN ..
E34, British North Borneo, Cent 1888-H, Copper ..
M65, British North Borneo, 1 Cent 1890-H, Heaton, NGC SP66RD (Rare so Fine) ..
M66, British North Borneo, 1/2 Cent 1885-H, Heaton, NGC SP64BN (Pop 1/1, first to be graded "SP") Very Rare! M66, British North Borneo, 1/2 Cent 1885-H, Heaton, NGC SP64BN (Pop 1/1, first to be graded "SP..
M67, British North Borneo, 1/2 Cent 1891-H, Heaton, NGC MS64BN ..
M68, British North Borneo, 1/2 Cent 1907-H, Heaton, NGC MS64BN, Rare Date! M68, British North Borneo, 1/2 Cent 1907-H, Heaton, NGC MS64BN, Rare Date! 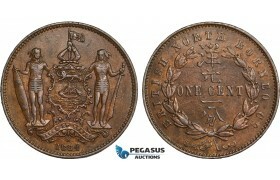 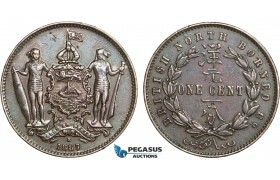 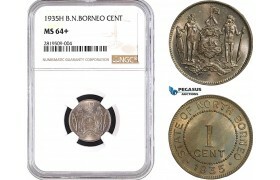 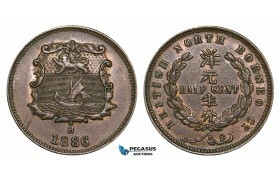 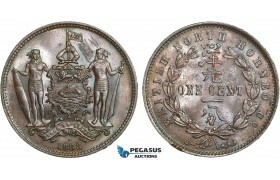 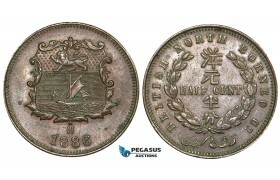 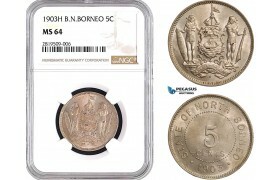 ..
N99, British North Borneo, 1/2 Cent 1886-H, Heaton, NGC AU58BN ..
O01, British North Borneo, 1/2 Cent 1887-H, Heaton, NGC AU58BN ..
O011, British North Borneo, 2 1/2 Cents 1903-H, Heaton, TOP Grade! 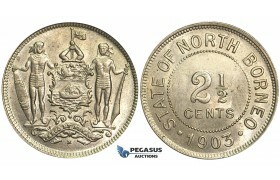 British North Borneo, 2 1/2 Cents 1903-H, Heaton, TOP Grade! 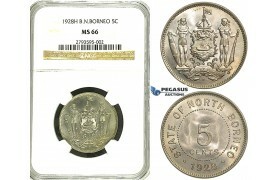 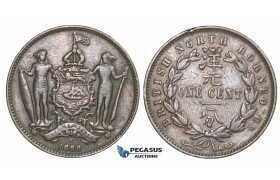 ..
P63, British North Borneo, 1 Cent 1890-H, Heaton, NGC SP63BN ..
R347, British North Borneo, Cent 1886-H, Heaton, NGC AU ..
R90, British North Borneo, 5 Cents 1928-H, Heaton, NGC MS66 (Rare Grade) ..
V69, British North Borneo, 1/2 Cent 1886-H, Heaton, High Grade ..
W13, British North Borneo, 1 Cent 1882-H, Heaton, NGC MS61 ..
Y21, British North Borneo, 1/2 Cent 1891-H, Heaton, NGC MS63BN ..
Y22, British North Borneo, 1 Cent 1886-H, Heaton, NGC SP65BN ..
Y23, British North Borneo, 1 Cent 1888-H, Heaton, NGC XF45BN ..
Y24, British North Borneo, 1 Cent 1889-H, Heaton, NGC AU58BN ..
Y91, British North Borneo, 1/2 Cent 1886-H, Heaton, NGC SP63BN ..
Y92, British North Borneo, 1/2 Cent 1891-H, Heaton, NGC MS63RB ..
Y93, British North Borneo, 1 Cent 1886-H, Heaton, NGC MS64RB ..
Y94, British North Borneo, 1 Cent 1890-H, Heaton, NGC MS62BN ..
ZA11, British North Borneo, 1/2 Cent 1907-H, Heaton, PCGS MS63BN, Rare! ZA11, British North Borneo, 1/2 Cent 1907-H, Heaton, PCGS MS63BN, Rare! 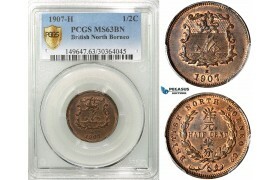 ..
ZA38, British North Borneo, 1/2 Cent 1886-H, Heaton, Nice! ZA38, British North Borneo, 1/2 Cent 1886-H, Heaton, Nice! 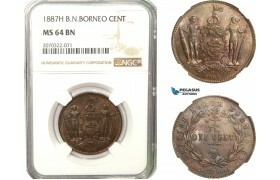 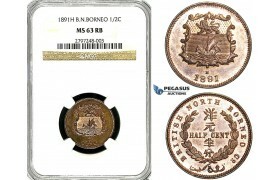 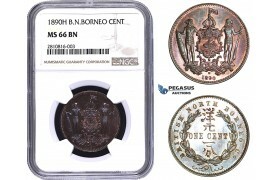 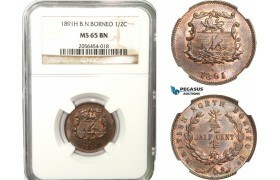 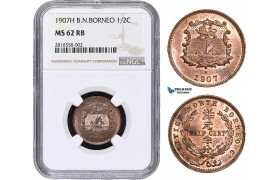 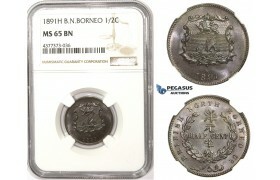 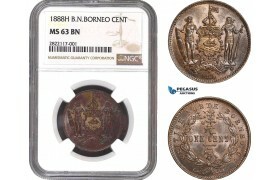 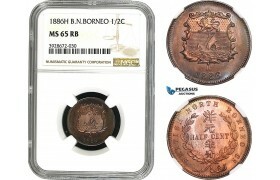 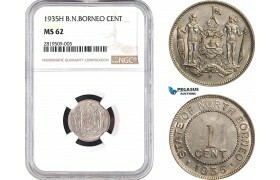 ..
ZA98, British North Borneo, 1 Cent 1888-H, Heaton, NGC MS61BN ..
ZB62, British North Borneo, 1/2 Cent 1886-H, Heaton, NGC SP65RB ..
ZB63, British North Borneo, 1 Cent 1886-H, Heaton, NGC AU55BN ..
ZB64, British North Borneo, 1 Cent 1889-H, Heaton, NGC AU55BN ..
ZB65, British North Borneo, 1 Cent 1891-H, Heaton, NGC AU55BN ..
ZM24, British North Borneo, 1/2 Cent 1891-H, Heaton, NGC MS64BN ..
ZM25, British North Borneo, 1 Cent 1890-H, Heaton, NGC MS64BN ..
ZM26, British North Borneo, 1 Cent 1891-H, Heaton, NGC MS64BN ..
ZM27, British North Borneo, 1 Cent 1891-H, Heaton, NGC MS64BN ..
ZM310, British North Borneo, 1/2 Cent 1891-H, Heaton, NGC MS65BN ..
ZM311, British North Borneo, 1 Cent 1891-H, Heaton, NGC MS65BN ..
ZM794, British North Borneo, 1 Cent 1890-H, Heaton, NGC MS66BN (Looks SP) ..
ZM827, British North Borneo, 1 Cent 1884-H, Heaton, NGC MS65BN (Looks SP) ..